We’re heading into ski season and Park City will soon be buzzing with both local residents and tourists alike. In addition to being home to local ski resorts like Park City Mountain Resort and Deer Valley, this mountain community also has over 100 restaurants, great shopping opportunities and beautiful homes. This month marks the opening of the ski season and in the past, one resort has been typically overlooked— The Canyons. 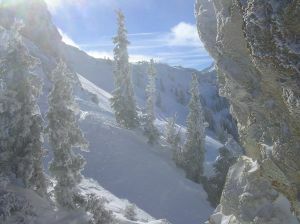 The largest ski resort in Utah, Canyons has over 4,000 skiable acres yet tends to be overshadowed by Park City Mountain Resort and Deer Valley. However, that may change very soon. Since being taken over by Vail Resorts, Canyons has improved their lift systems, lodge accommodations and even snowmaking. Vail, as mentioned in a previous blog post, even has plans to link Canyons to their newly-acquired Park City Mountain Resort and take on more skiable acres. Canyons will regain a spot at the top of the must-visit list and residents can expect to see an increase in traffic in the coming months, even year as Vail’s plans come together. Blaise Carrig, President of the Mountain Division for Vail Resorts, expressed the desire to create more year-round activities and continue to build on what the Park City resorts already offer. These plans and changes come as a sigh of relief for many Park City Utah locals as now all ski resorts will be in operation for the season and those like Canyons can get the attention they deserve. Park City and the surrounding communities of Kamas, Oakley, Francis, Midway and Heber City boast numerous opportunities for recreation and easy living— just one of the reasons so many choose to call the area home. Contact me today to discuss how you too can enjoy all that the area has to offer!